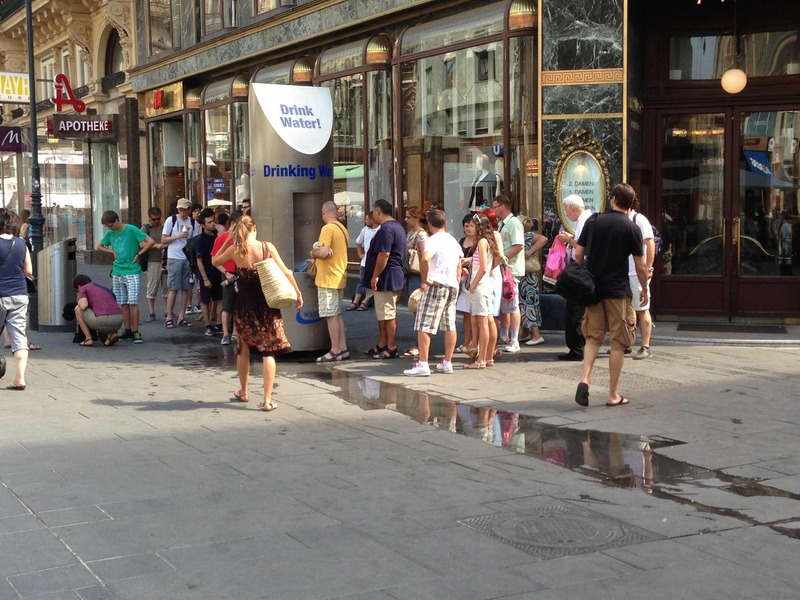 Vienna’s drinking water is worth lining up for! Am Graben, August 4, 2013. Vienna is proud of its excellent quality water and has placed public fountains at several main squares throughout the city. This one is on the Graben near Stefansplatz. There is another one on Karlsplatz near the Karlskirche. It’s a great idea for refilling your water bottle on hot days like last Sunday when temperatures were in the high 30s (Celsius) or 90s (Fahrenheit)!